zine RESIST! 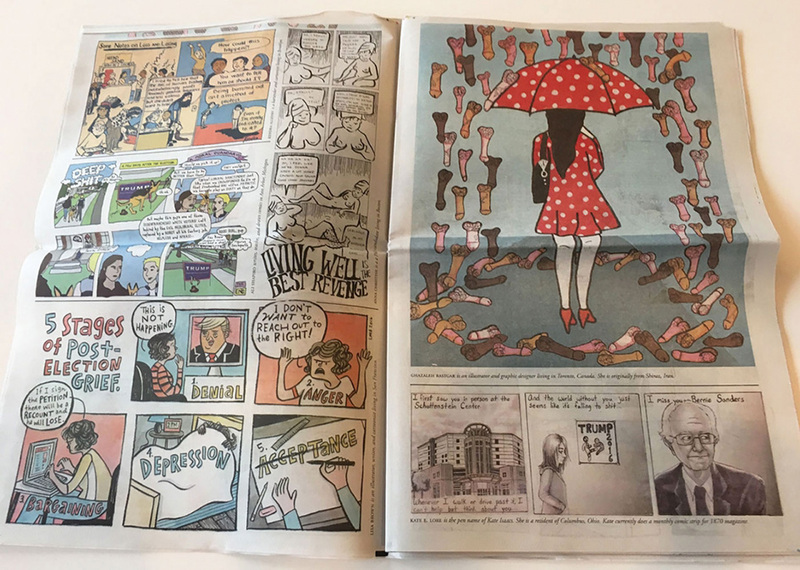 is a free 40-page tabloid newspaper of political comics and graphics by mostly female artists. 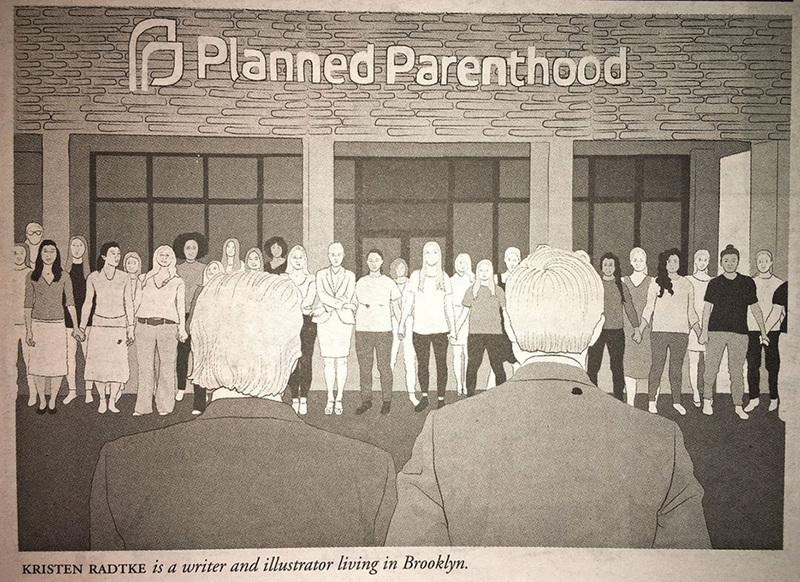 It is edited by Françoise Mouly, art editor of The New Yorker, and writer Nadja Spiegelman. “During our open call for submissions at the end of 2016, we received over 1,000 images from artists across the country and the world. 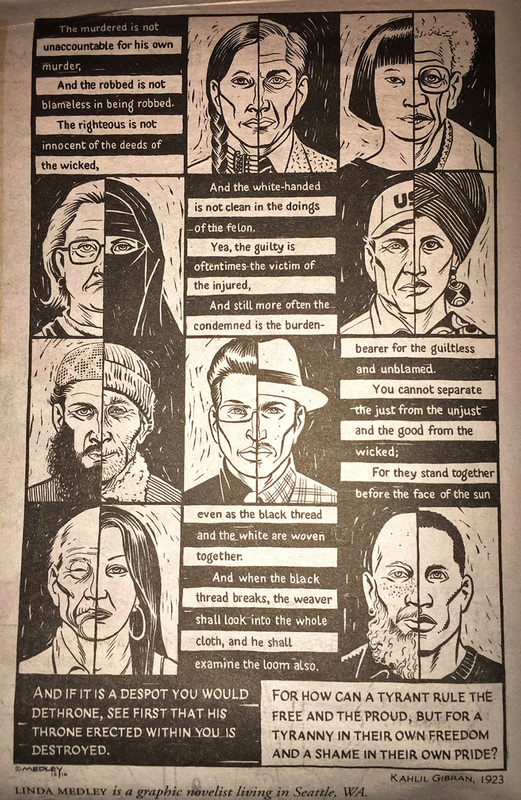 The printed paper is a distillation of that powerful collective female voice and an affirmation of all we stand for: unity, diversity, and creativity. 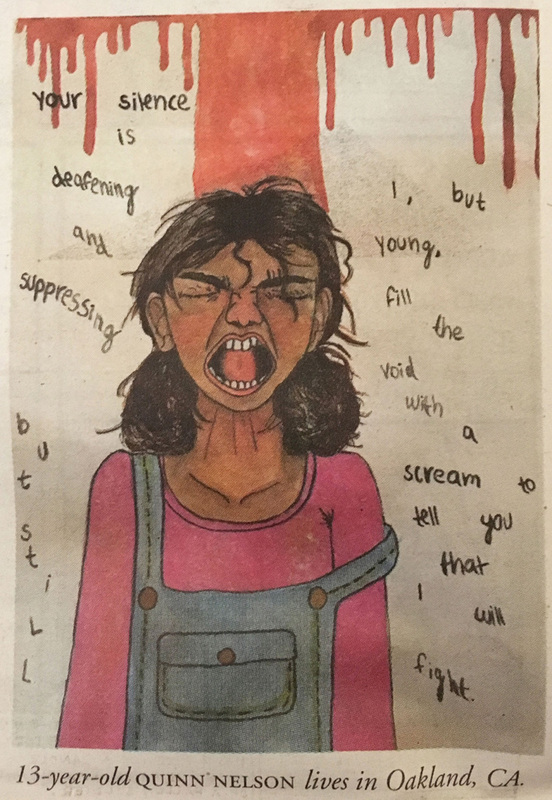 It was distributed at Women’s Marches across the country on Jan 21, 2017” say the women behind this zine that calls on action. And it all started with a man. 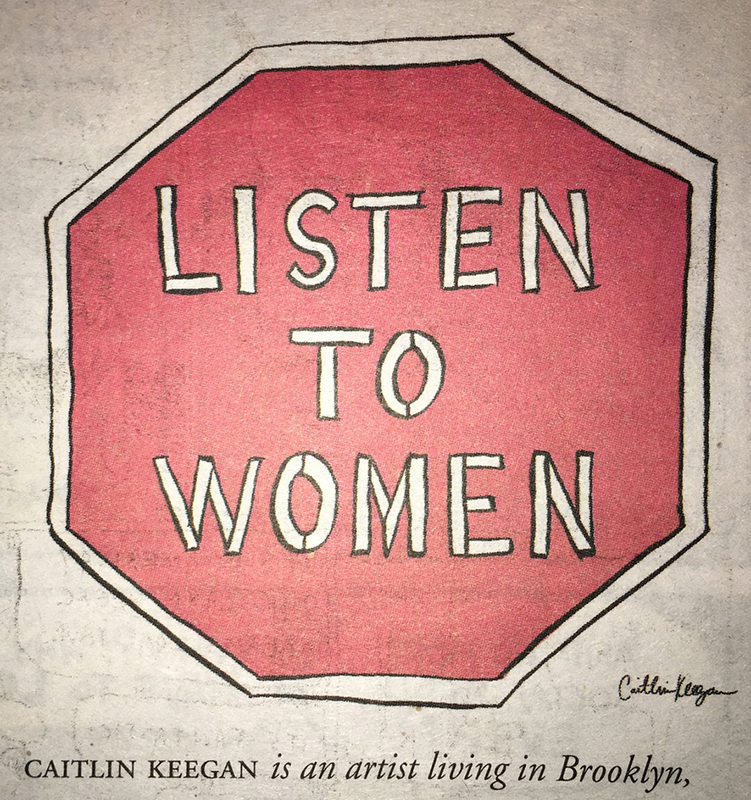 “Against the backdrop of the #J20 art strike, free museum programming on January 20, and millions of people joining the Women’s March on Washington and solidarity marches across the world, Gabe Fowler, owner of the Williamsburg, Brooklyn, comics shop Desert Island, decided to devote a special issue of his comics newspaper, Smoke Signal, to women’s voices” reports HyperAllergic. 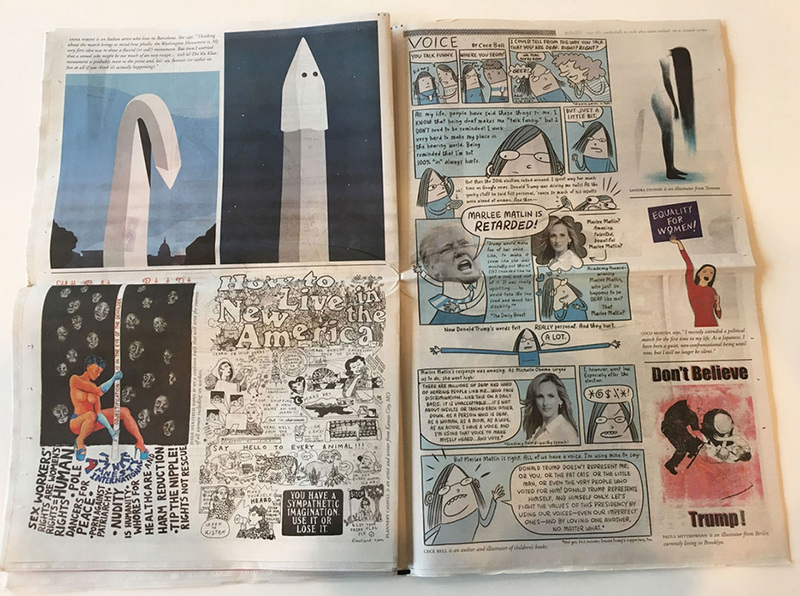 Mouly and her daughter, Spiegelman, edited this feminist collection of comics and illustrations on the theme of “political resistance to the forces of intolerance”. Aptly named RESIST! 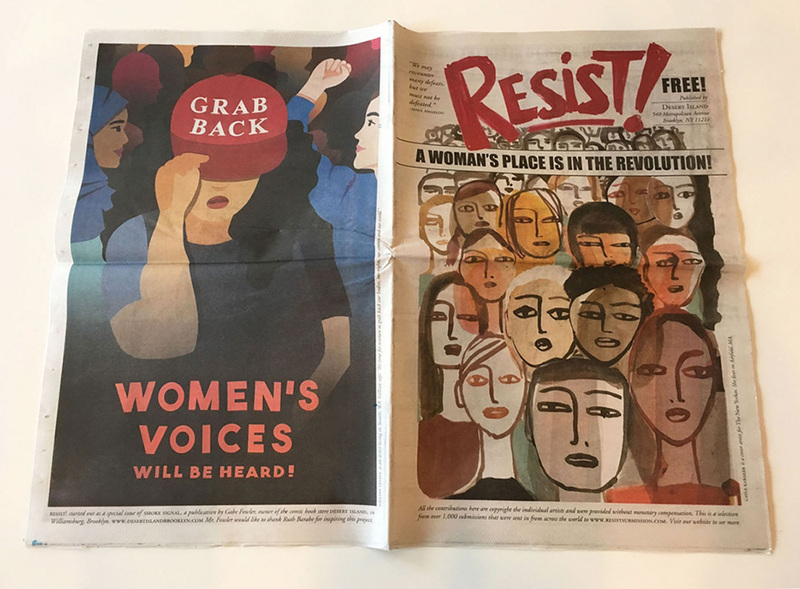 the zine was printed at 58,000 copies and distributed on January 20th, Donald Trump’s inauguration day, for free by a grassroots network of volunteers also during the Women’s Marches across the country. Work by Amy Camber (top) and Sophia Zarders (bottom) in RESIST! 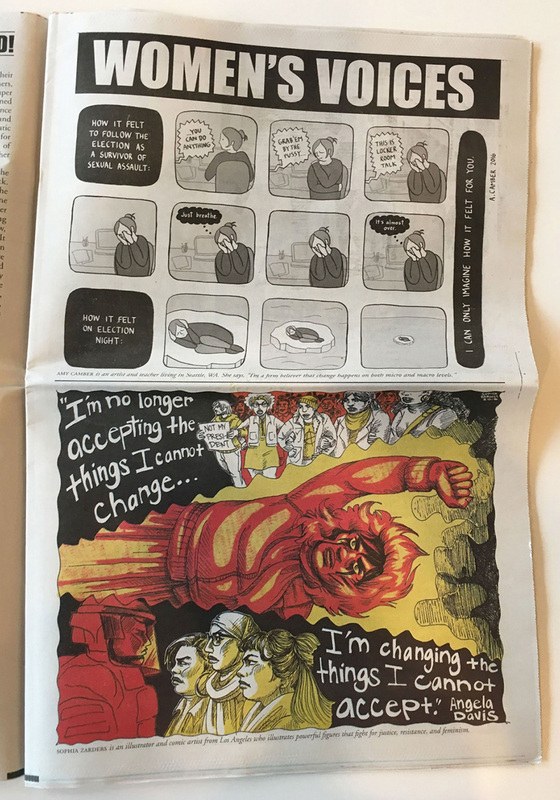 “The zine was able to expand beyond Gabe Fowler’s original grant thanks to a generous donation from Mitch Berger and from thousands of supporters who sent in money or pre-ordered copies through our website. All of the time and labor that has gone into this project has been and continues to be offered on a volunteer basis and all of the artists have contributed their work without monetary compensation. 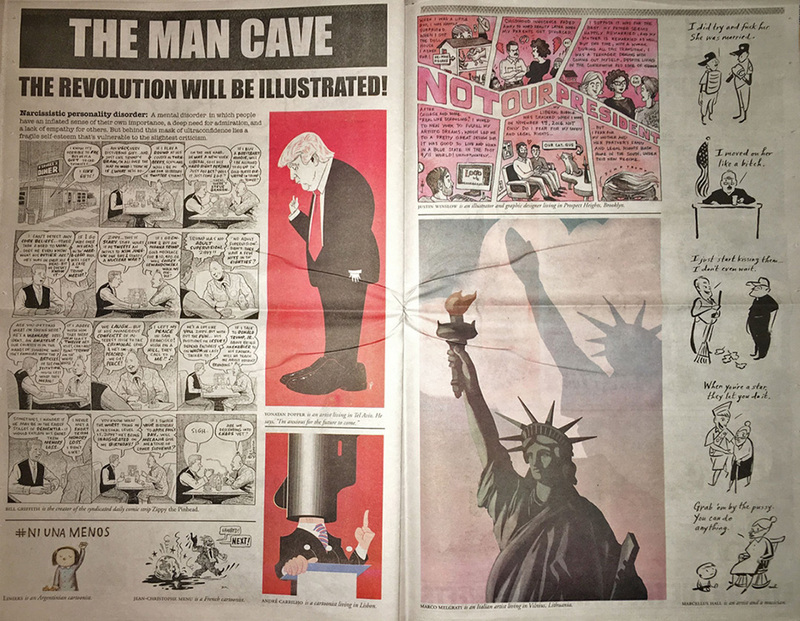 A print artifact first and foremost Mouly’s RESIST! 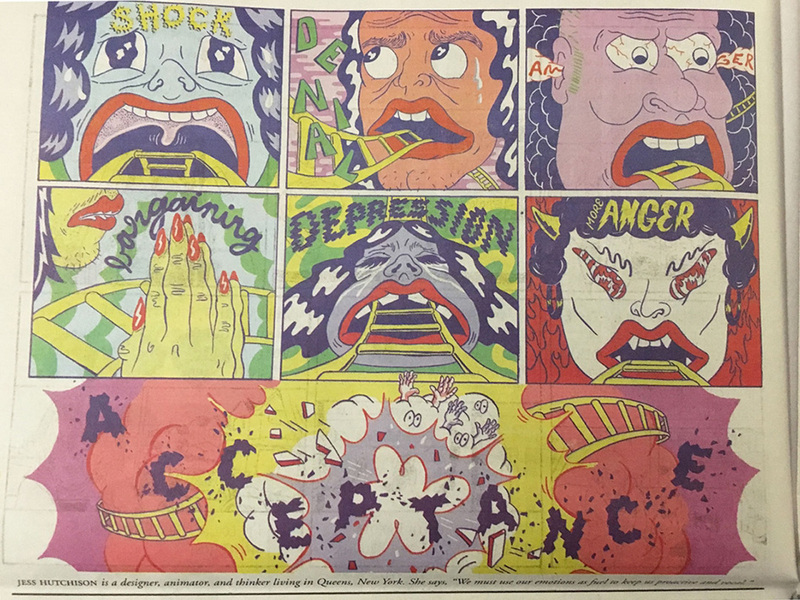 was inspired by the French satire magazines, Hara-Kiri, and Charlie Hebdo” reports FastCompany. According to the Jewish Telegraphic Agency the publication received an overwhelming number of submissions, “500 or so in the first week”, including images from Julie Wilson, Ellis Rosen, Nelleke Verhoeff, Tatiana Gill, Sophia Zarders, Anna Christine, Valerie Schrag, Teresa Roberts Logan, and Margaret de Heer. 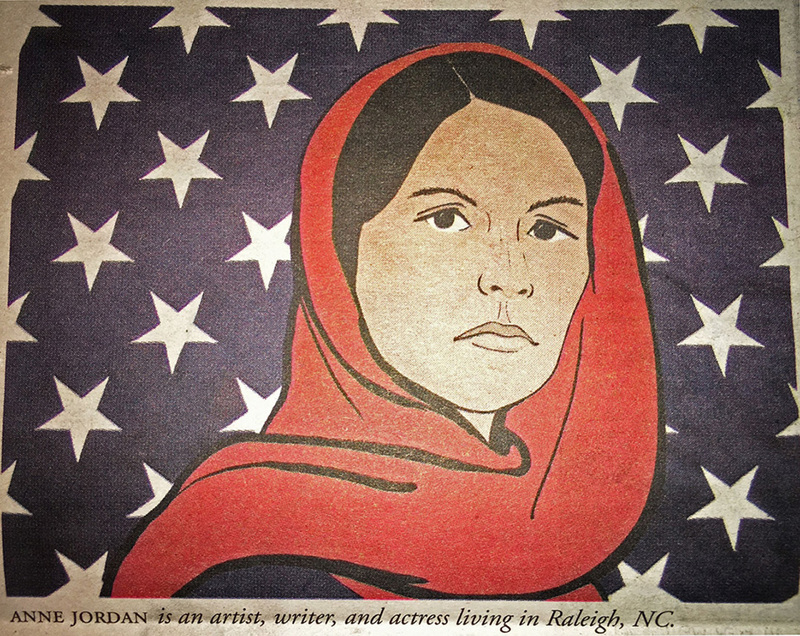 Work by Anne Jordan in RESIST! Collectable copies of this artefact are carried at comic book shops and bookstores throughout the country while supplies last. Work by Linda Medley in RESIST! Work by Jess Hutchinson in RESIST! Work by Kristen Radtke in RESIST!